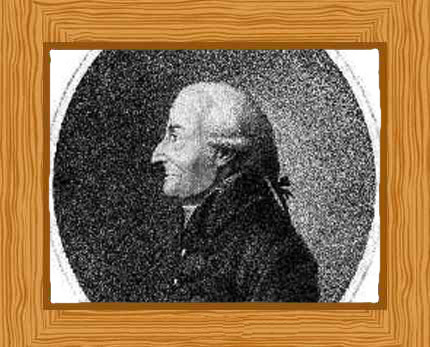 Jean Andre Deluc was a Swiss meteorologist, physicist, and geologist. Despite being a physicist, his main interests were meteorology and geology; famous geologist Georges Cuvier mentioned him as an authoritative figure in geological concerns. His main geological work, “Physical and Moral Letters on Mountains and on the History of the Earth and of Man” was a comprehensive publication in 1778-1780 which was dedicated to Queen Charlotte. He also made contributions to instruments used for scientific measurements including a portable barometer and a hygrometer. Jean Andre Deluc was born on 8 February 1727 and his birthplace was Geneva, Switzerland although the roots of his family were from the town of Lucca, Italy. His father was Jacques-François Deluc, the main author of publications which refuted Mandeville as well as other writers of rationalism. His mother was Françoise Huaut. Jean’s education focused on natural science and mathematics. For his mathematics classes, he was a pupil of Georges-Louis Le Sage. Because of his ability especially in the field of mathematics, Jean Andre Deluc then involved himself with affairs related to commerce and was a businessman for approximately 46 years. Occasionally he took business journeys to other countries, and engaged in a few scientific trips to the Alps. Together with his brother, Guillaume-Antoine, they gradually collected their very own mineralogy and natural history specimens. This collection was the beginning of a kind of museum which was later on enriched by his nephew and namesake who was also a writer in the field of geology. Deluc took a prominent role in political engagements for a time. In 1768, Deluc was successful in gaining the friendship of the duke of Choiseul when he was in Paris. Four years later, in 1770, he became one of the members of Geneva’s Council of Two Hundred. In 1773 however, his commercial ventured failed which made it necessary for Deluc to move away from his hometown of Geneva. He only ever returned to his hometown once, just for a couple of days. This change made him freer to pursue his scientific endeavors. Deluc moved to England in 1773. He was elected as a Royal Society’s fellow and was appointed as the reader to the Queen Charlotte, a position which came with an annual income. Deluc remained reader for 44 years until his death, the position giving him enough time on his hands for personal scientific pursuits. The main interests of Deluc were meteorology and geology. He published several volumes on findings about geology and he recorded his travels in Europe in 1810, England in 1811, and also in France, Germany, and Switzerland in 1813. One of his more prominent theories was concerning how heat disappeared when ice was being thawed. Deluc ascertained how water was denser when it was at 40 °F and not while it was at its freezing temperature. In addition to his publication “Physical and Moral Letters on Mountains and on the History of the Earth and of Man” in 1778 which was dedicated to Queen Charlotte, he wrote “Lettres sur l’histoire physique de la terre” (Letters on the physical history of the earth) in 1798 which comprised of essays addressed to Johann Friedrich Blumenbach on the General Principle of Morality. When he had his time to pursue his scientific interests, he dedicated time to perfecting his inventions which were instruments for scientific measurements. He devised a portable barometer which could be used for geological expeditions. His two-volume publication called “Recherches sur les modifications de l’atmosphère” (Research on changes in the atmosphere) was published in 1772 and the second edition in 1784 contained experiments regarding moisture as well as evaporation and indications of thermometers and hygrometers. He wrote “The Philosophical Transactions”, an account of a new type of hygrometer that resembled a kind of mercurial thermometer. It was equipped with a bulb made of ivory that expanded through moisture which would then cause the descent of mercury. He gave the first set of correct rules to measure heights using a barometer. He argued for using mercury rather than alcohol when making thermometers. Deluc was a religious man, and apart from his being involved with scientific studies, the latter years of Deluc’s life was dedicated to theological matters. He had a controversial view of geologist James Hutton, which expressed how although Deluc had never argued Hutton was an atheist; he had accused the man of his failure to properly counter atheism. During his years he collected Scriptural data which he considered as descriptions of the world’s history. He explained how the first six days of Creation as accounted in the Bible had been epochs that had preceded the present state of his time in his work called “Lettres physiques et morales” (Physical and moral letters). In this work he also attributed the great deluge as the reason of the filled up cavities inside the earth. He was given leave from Court to explore France, Switzerland, Germany and Holland. He was distinguished at the University of Göttingen with an honorary professorship of philosophy and geology. He was also a trusted correspondent of the French Academy of Sciences as well as other learned and esteemed societies. He had accumulated 70 years of research and scientific works before he died in Berkshire, England in November 1817, aged 90.